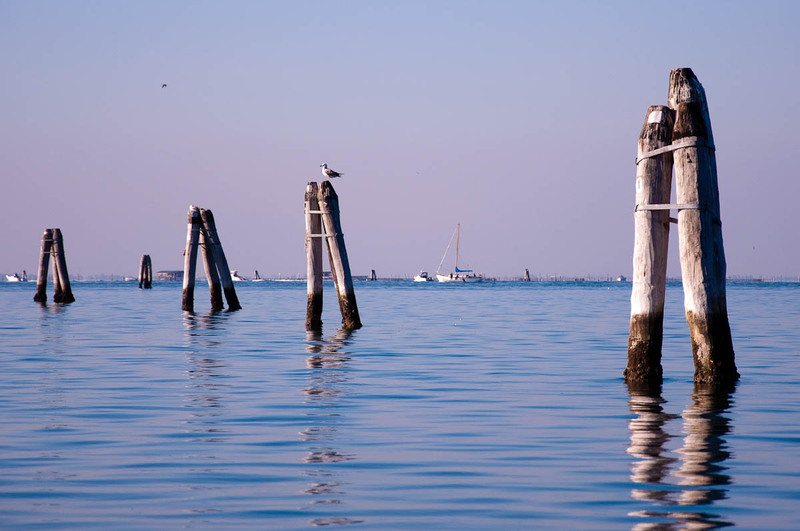 Let me give you a little suggestion for your Italian travel wish list: Chioggia. You may not know yet how to pronounce it, but – take my word for it – you’ll love it. Why?! 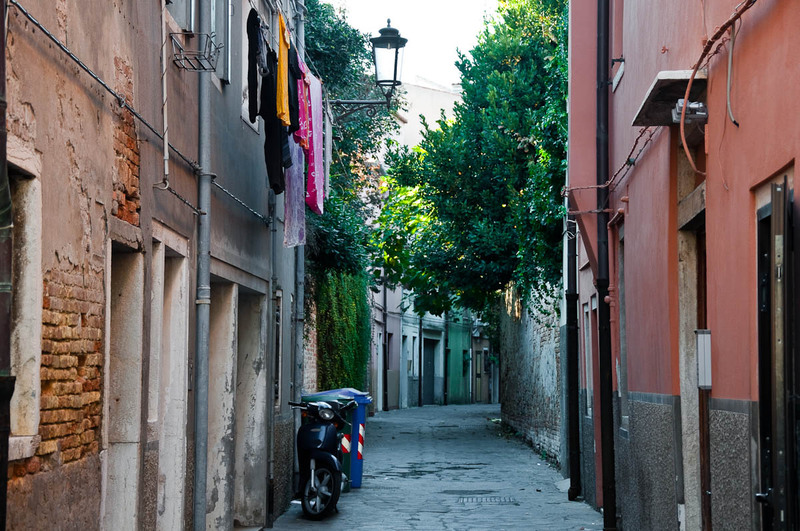 Imagine an unspoiled Venice – smaller but full of character, easier to navigate even by car, with tons of fresh seafood, huge beaches within a very close reach and, above all, no maddening crowds. Too good to be true? Well, that’s Chioggia for you! connected to the mainland by causeways. When the sun is shining and the skies are blue, it is a great place to go to in order to relax, take in the local way of life, explore the fish markets, take pictures of the photogenic clotheslines suspended between the colourful tall houses, spend some time on the beach and eat your weight in seafood and ice-cream. Sounds good?! I thought so. 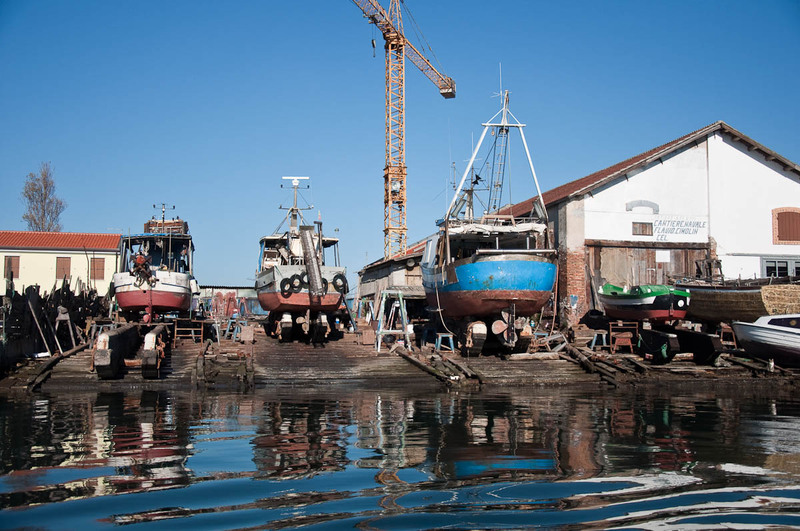 While Venice is suffocated by an ever increasing wave of visitors and encroaching souvenir shops, about an hour and a quarter away, at the Southern entrance of the Venetian Lagoon, lies Chioggia – a fishing port which has managed to preserve its authentic feel. The canals, the narrow streets and the architecture will make you feel like you have hardly left Venice at all, but you will be surprised by how quiet and calm everything seems to be. Instead of feeling overwhelmed by the presence of thousands of people from all over the world, in Chioggia you can take it slowly and observe the locals at what they have been doing for centuries: fishing, lacemaking and seafood selling, cooking and eating. Head to Piazzetta Vigo right at the end of Corso del Popolo – Chioggia’s main street. There you can get a ticket for an hour- or half-an-hour-long trip by boat in order to see the most important local sights from the waterside. I loved the shorter trip which cost 5 euros per adult (it was excellent for children, too). A traditional for Chioggia red boat with a painted figure on its bow took us round the marina, along the town’s main canals, up close to the statue of the Madonna of the Fishermen (see the main picture for this blog post), the defensive walls of the San Felice Fortress and even to the fishing boats’ dry dock. The tour was the highlight of our day and our skipper Marco gave us lots of interesting information about Chioggia and its citizens while playing some very lively music to put everybody in a great mood. The hour-long tour, which is organised by a different company, costs 10 euros per adult and it employs a swish motorboat. It covers a few more local sights, but by the time we reached the dock, the tickets had finished for that particular time slot. Seeing Chioggia from the water mustn’t be missed, especially considering how closely related to the lagoon and the sea life in the town is. 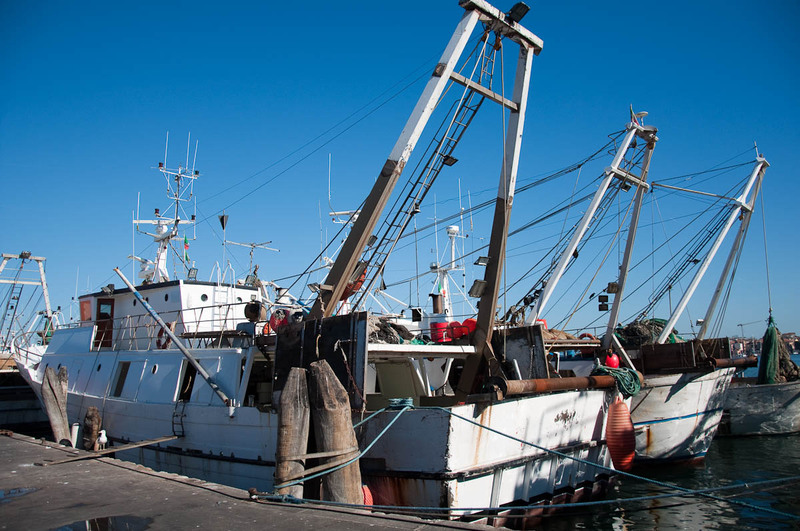 Being one of the biggest and oldest fishing ports in Italy and operating the biggest number of fishing boats in the country, you can expect Chioggia to have a pretty good fish market. In fact, it has two – a wholesale and a retail one. 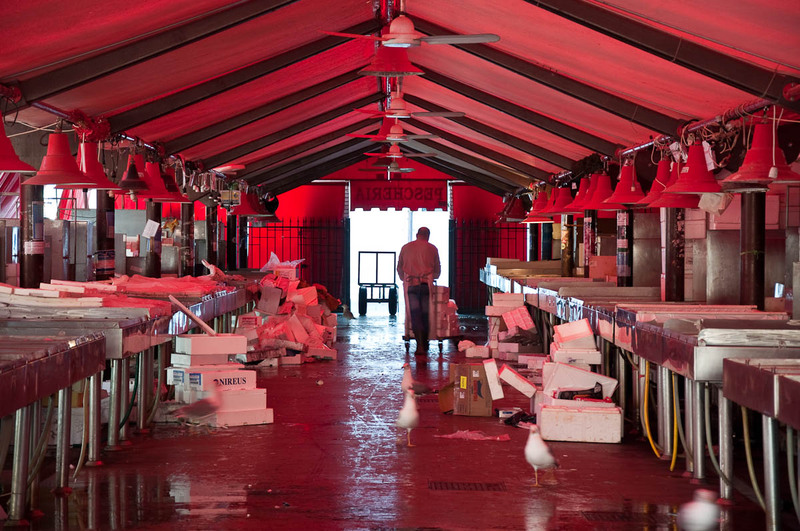 The wholesale fish market (called Mercato Itico) is across the large canal San Domenico and occupies 11 000 square meters, 5 000 of which are taken by a fancy pavilion built in 1960. The boats moor right next to it and you can see the crates with fish being unloaded under the attentive glare of the many seagulls. 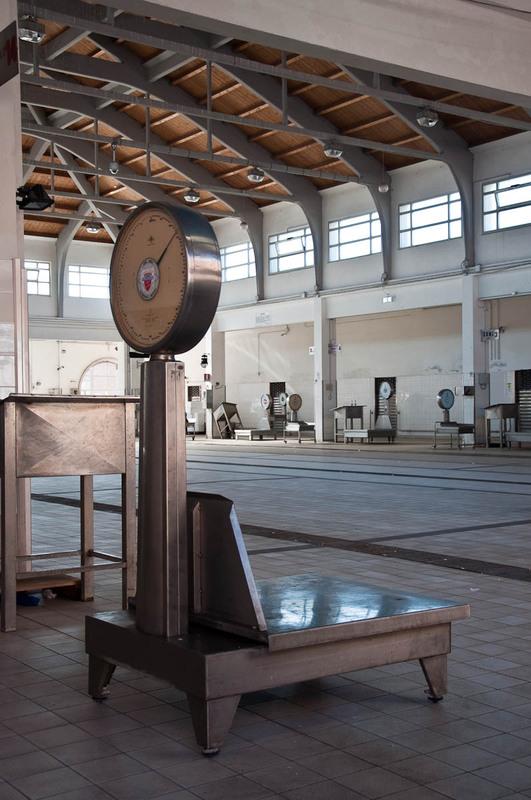 There are also large facilities behind the market where fish from all over Italy and the world is handled, stored and processed. The retail market – called Pescheria – is more centrally located and you will find it between the Piazza and the Vena canal. It has a beautifully sculpted main entrance (carved by the Paduan Amleto Sartori), huge red awnings and it houses about 30 large stalls. 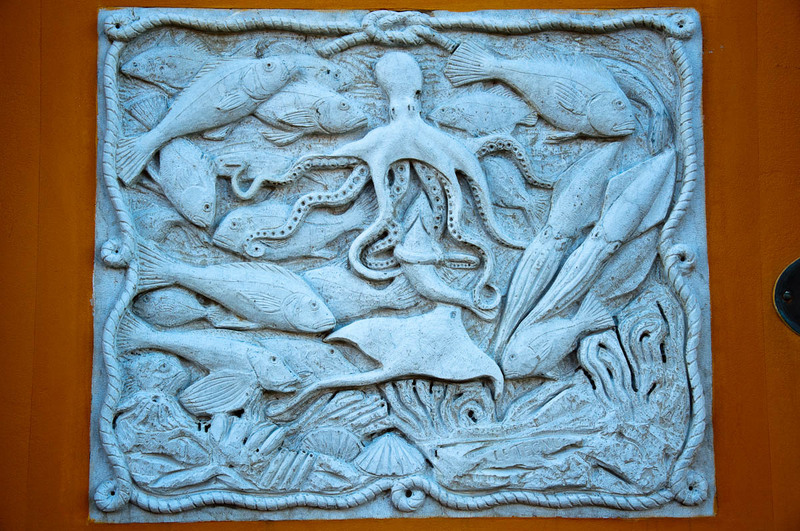 You can find all sorts of fish and seafood there – from anchovies to sea bass and then some more. It is an unmissable sight, but make sure that you visit it as soon as you reach Chioggia, as it shuts in the early afternoon. Many restaurants in town serve beautifully cooked seafood. 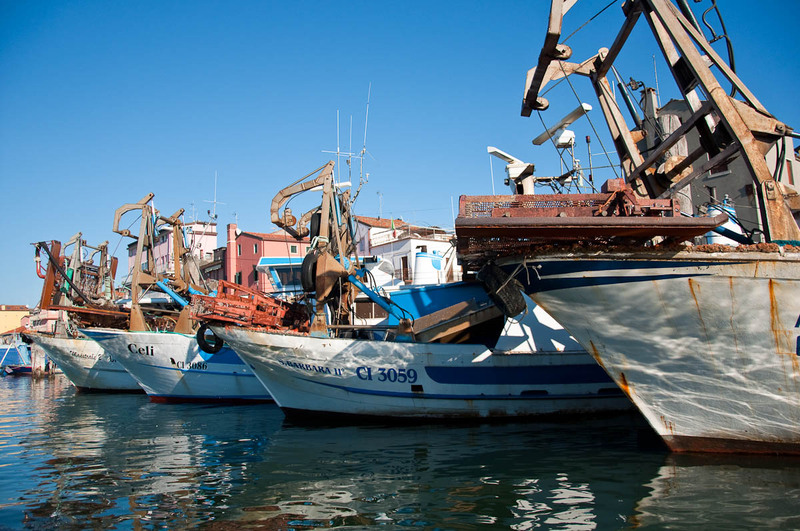 Walk along the San Domenico canal to see the deep sea fishing boats on one side and a line of eateries on the other, where you can glimpse through the windows into their kitchens and see the chef preparing the most delicious fish dishes. For an outstanding plate of seafood, try also the restaurants around the retail fish market. For ideas what to order, have a look at this list of typical for Chioggia food. Now Chioggia claims to have in its possession the world’s oldest clock, so it would be rude not to go and see it. You will find it in the aptly named Clock Tower Museum which is housed in the thousand-years old bell tower of the Sant’ Andrea Church. The clock tower is an original Roman-Byzantine military construction and in 2007 it was opened to the public as a ‘vertical museum’. The Sant’ Andrea church is towards the lagoon-end of Chioggia’s main street – Corso del Popolo – and you will spot its tower from afar, as it is thirty metres high. Bear in mind that the Clock Tower Museum has some very restricted opening hours. According to a small plaque attached to its wall, you can visit the museum between 10:30 am and 12:30 pm on Sundays and holidays. Now, about the clock – it was made in the workshop of Giovanni Dondi – a native of Chioggia who was a doctor, a clock-maker and a pioneer in the art of clock design and construction. 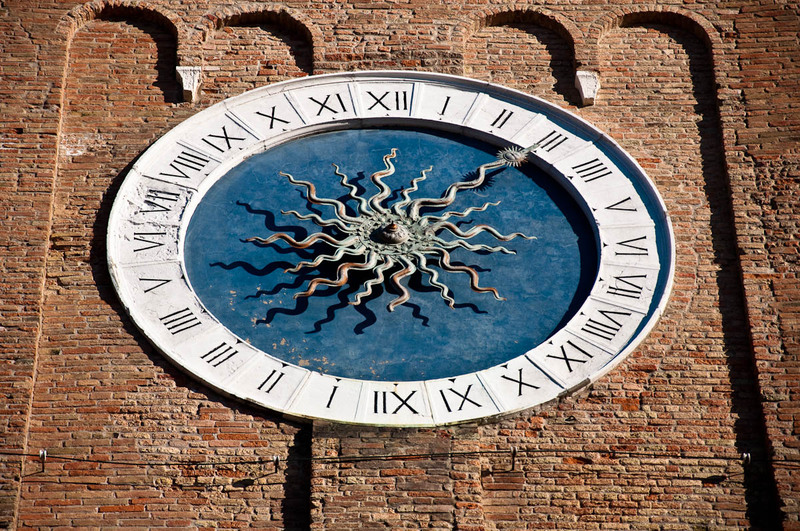 Between 1386 and 1839 the clock was in one of the towers of the historic Pretorio Palace. 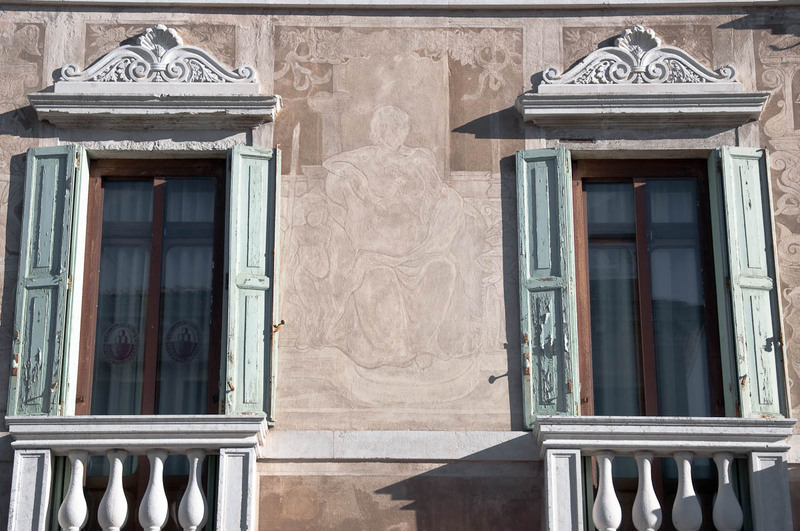 As the palace was demolished and then rebuilt, the clock was given to the Sant’Andrea parish. The clock’s mechanism is now kept in a protective glass case and you can see it on one of the six floors inside the Clock Tower Museum. Every year Chioggia organises some fun and fabulous events showcasing its traditions and its unique culture. 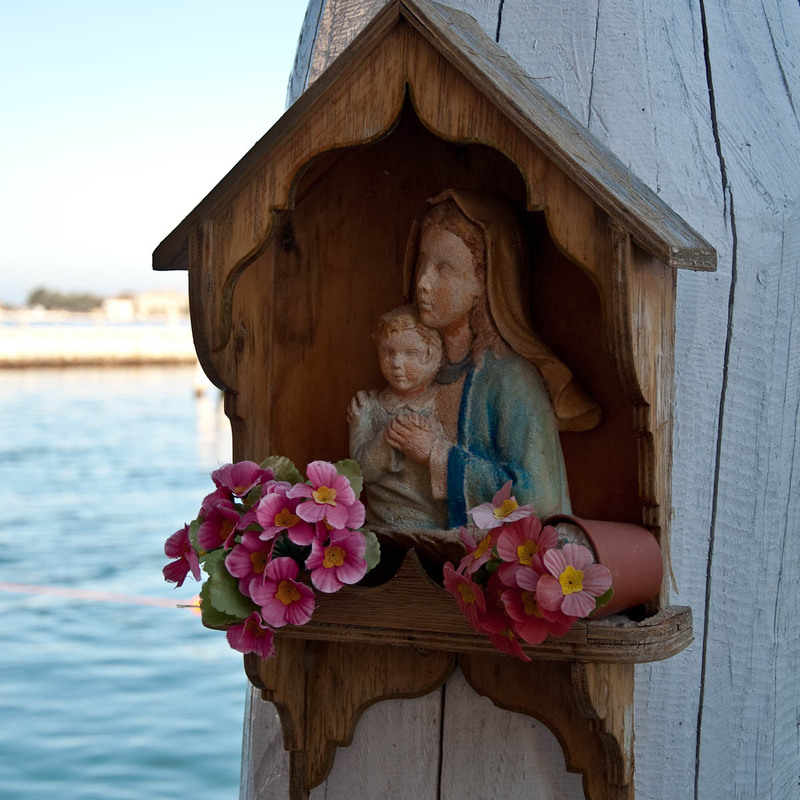 Chioggia’s Fish Festival (in Italian Sagra del Pesce) deserves a special mention here. It has been taking place each July since 1938. For ten nights Chioggia’s historical centre becomes a huge open-air restaurant lined up with wooden tables and benches. People celebrate the lagoon, and the local fishing traditions by tucking into generous portions of fantastic seafood. In the third week of June every year, Chioggia stages the Palio della Marciliana – a historic reenactment inspired by its 14th century history. Hundreds of people, dressed in historical costumes, take over the town. There are noble ladies, knights, musicians and craftsmen, there are ancient games, balls, and parades. 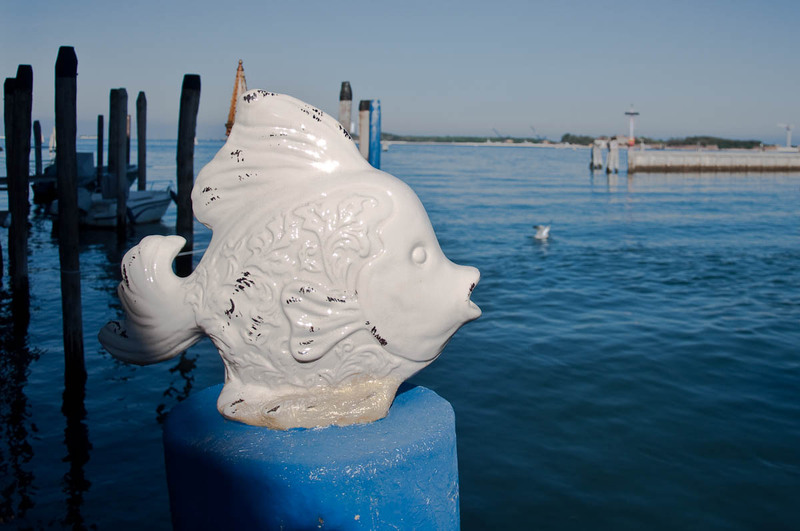 Chioggia re-lives its past when it was rivaling the splendour of Venice. There are also several sport and music events taking place through the year, so it pays off to align your visit with one of them. 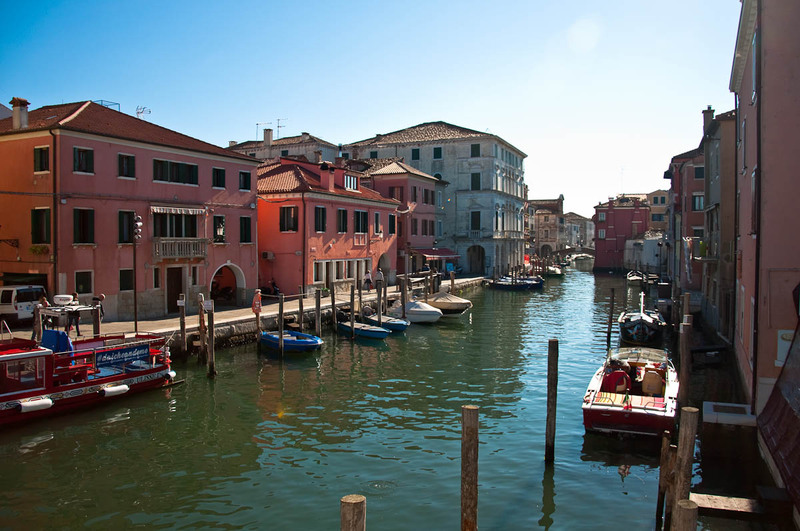 If you are a self-confessed sun worshiper, head over the bridge leading from Chioggia’s historical centre to Sottomarina. There you will find a close to ten kilometres long and up to 300 metres wide beach able to meet all your summer needs and then some. Sottomarina used to be a frazione (roughly equivalent to parish in English) of Chioggia, but nowadays is its quarter. It is a place which truly comes alive in summer with its many hotels and camping sites. The beach is absolutely stunning and the locals flock to it even during the low season for their daily walk. 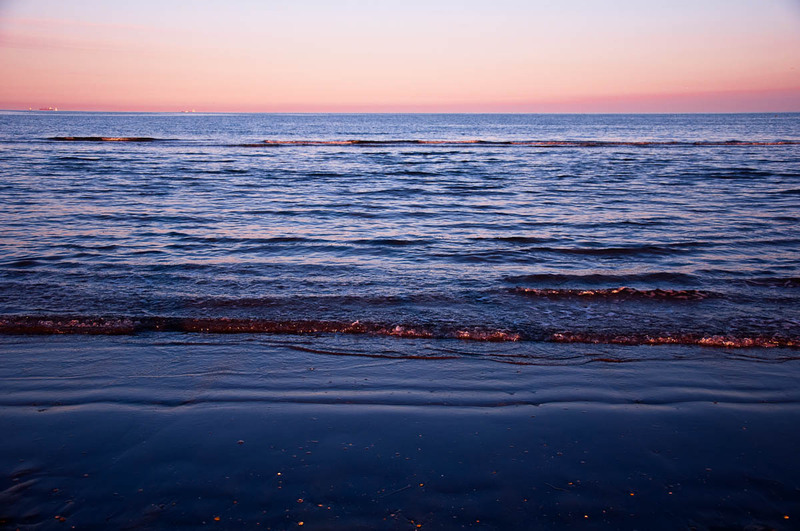 The sand is incredibly fine and in the evening dusk it looks curiously dark, almost black. It is very rich in augite, quartz, silicates, and micaceous elements and as such the beach is ideal for sand bathing treatments. 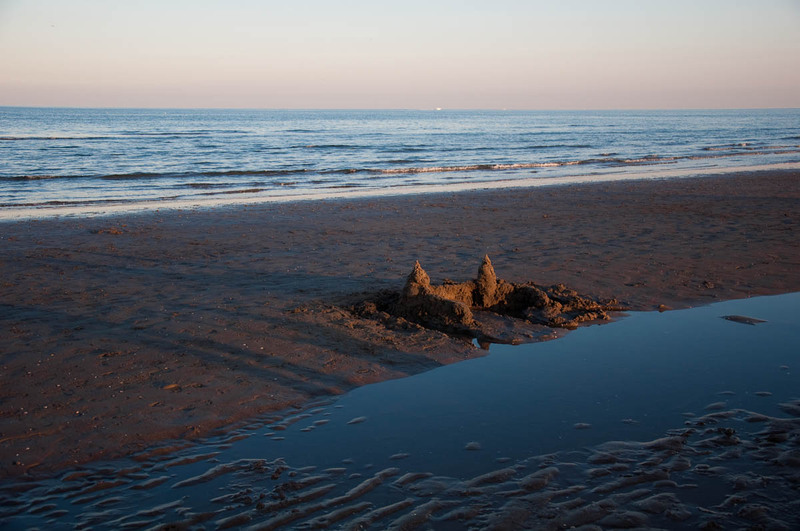 It is not surprising then that one of the very first sea bathing establishments in Italy was built here over 150 years ago. 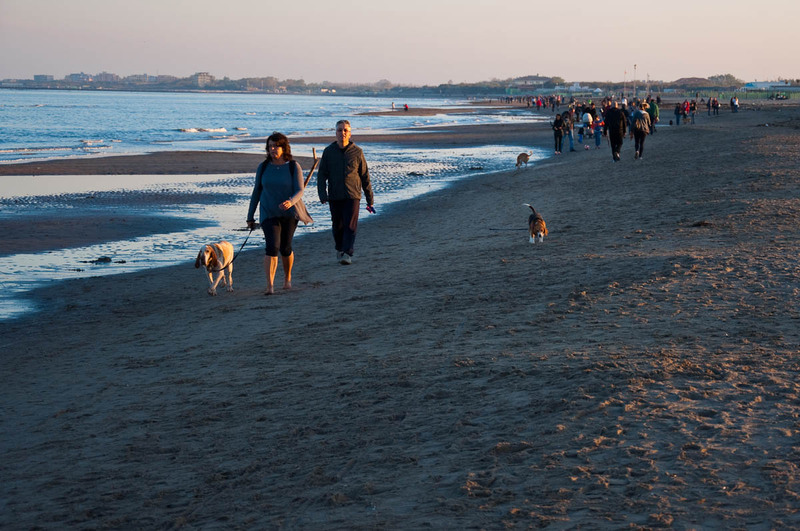 Another curious tidbit is that the beach separates the Venetian Lagoon from the Adriatic Sea and it stretches from San Felice Fortress to the mouth of the River Brenta and then it continues further to the mouth of the river Adige where the peaceful paradise of Isola Verde stands. Even though Chioggia is much smaller than Venice in terms of its size (in terms of number of permanent residents they are almost equal), it holds its own in relation to art, history and traditions. Apart from the above mentioned Clock Tower Museum, you can also visit several other museums (among them the Civic Museum of the South Lagoon housed in the former Convent of San Francesco dating back to 1315, the Diocesan Museum of Sacred Art and the Museum of the Adriatic Zoology housed in Palazzo Grassi). Santa Maria’s Gate with its bas-relief of the Venetian Lion. Through this gate all the traffic into the once fully encircled by defensive walls Chioggia used to flow in and out. Refugium Peccatorum – a marble statue of the Virgin Mary and the Infant Jesus under a gold cupula, surrounded by a group of sculptures. You will find them by the town’s Cathedral of Santa Maria Assunta. In the past those sentenced to death used to pass in front of the statue and say their last prayers. Apart from its fishing traditions, the town is also well-known for its lacemaking. The Chioggia lacemakers use bobbins to create lace in a style which they call tombolino. I had the chance to meet some of them at a tourist expo in Padua. I took a short video of their lacemaking demonstration which you can see here. As for notable people born in Chioggia, it will suffice at this moment in time to mention that Giovanni Caboto – discoverer of Canada – hails from these lands. 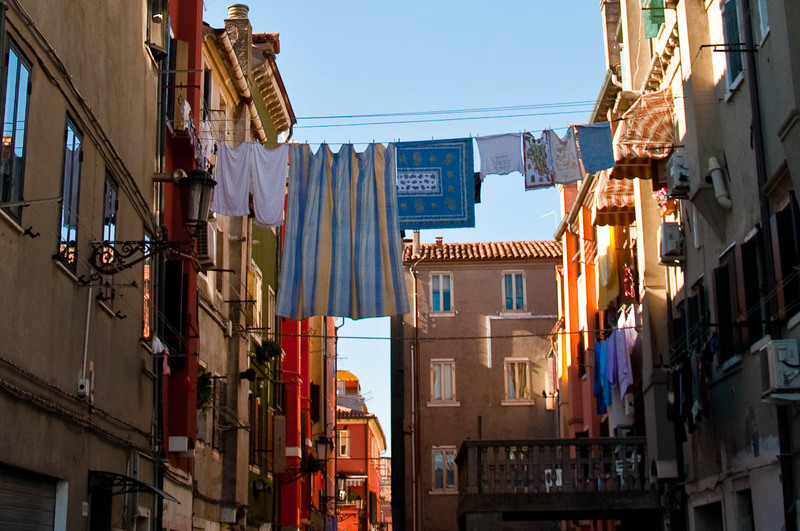 There is something about Chioggia’s clotheslines which will bring out the budding photographer in you. 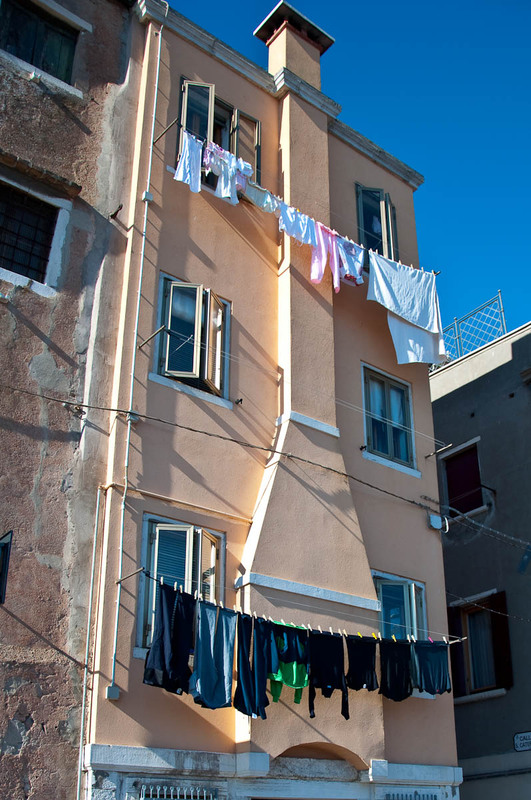 It could have been the sunny weather we enjoyed during our visit to Chioggia or it could have been the town’s atmospheric houses and narrow streets, but the clotheslines hanging in the gentle breeze high up above our heads looked like a genius stroke by the skillful hand of an artist. They were like garlands adorning a happy place, a colour-coordinated yet creatively mismatched accessory which brought the town to life. So, as a little tip from me, during your visit there make sure that you spend a little bit of time simply walking around and taking it all in, and soon you will notice how the clotheslines become the pops of colour which bind the scene together. The tegnue (what a wonderful Venetian word!) corresponds to the area of rocky outcrops in the Western area of the Venetian Lagoon. It is located only two miles away from the port of Chioggia and it has a tropical seabed with organic, carbonate rocks formed by marine organisms about 30-40 000 years ago. The tegnue is a divers’ paradise with rich shoals of flora and fauna. There are real natural reefs, too! They are not built by corals, but by coralline algae and could be seen at a depth of 17 to 25 metres. There are sponges, colourful anemones and colonies of sea-squirts. 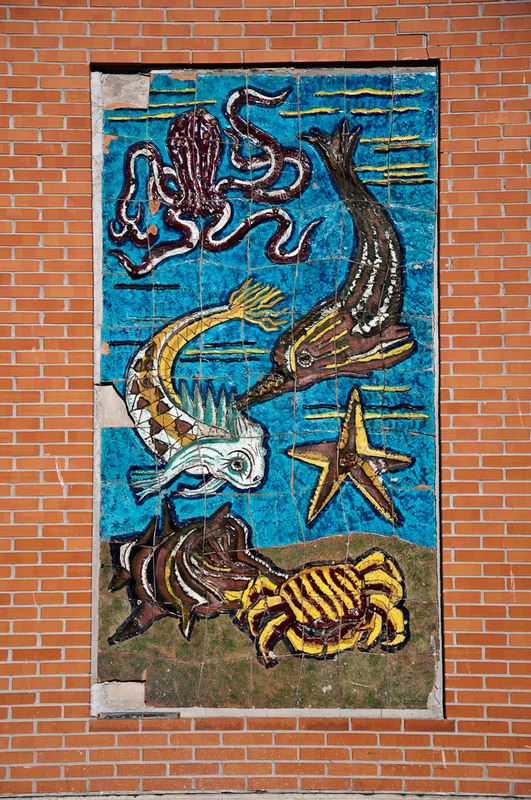 There are lobsters, crabs, and a myriad of other sea creatures. 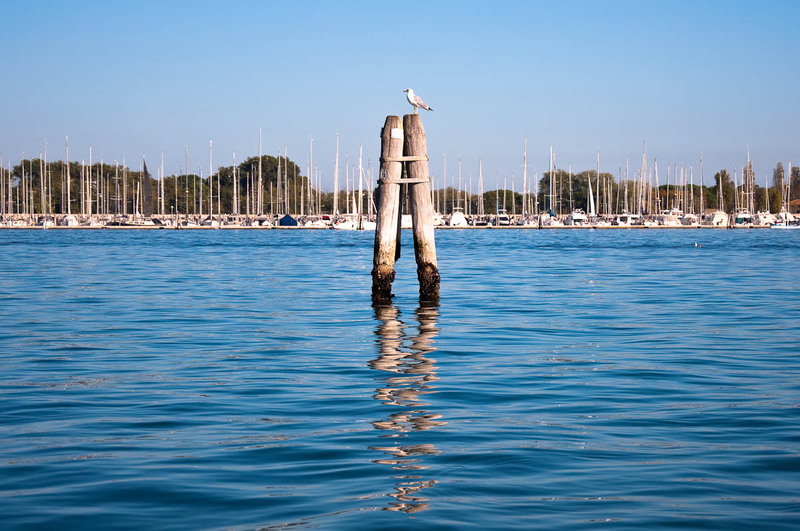 Please, note that there are strict restrictions in place concerning diving in and around the tegnue and since 2002 the area of the tegnue of Chioggia is declared to be a ‘No-Take Zone’ where any kind of fishing activity is prohibited. 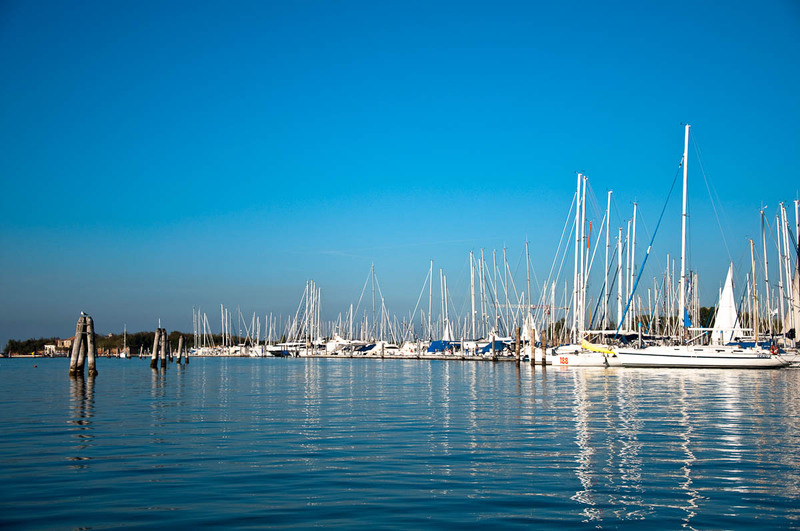 Chioggia has quite the ingenous layout which is bound to excite any urban planning enthusiast. Considering how deep its fishing traditions run, it is quite wonderful really that the historical centre of the town looks like a herringbone. A wide main street – Corso del Popolo – stretches for 840 metres from the Santa Maria Gate to the Vigo Dock at the other end of the main island. 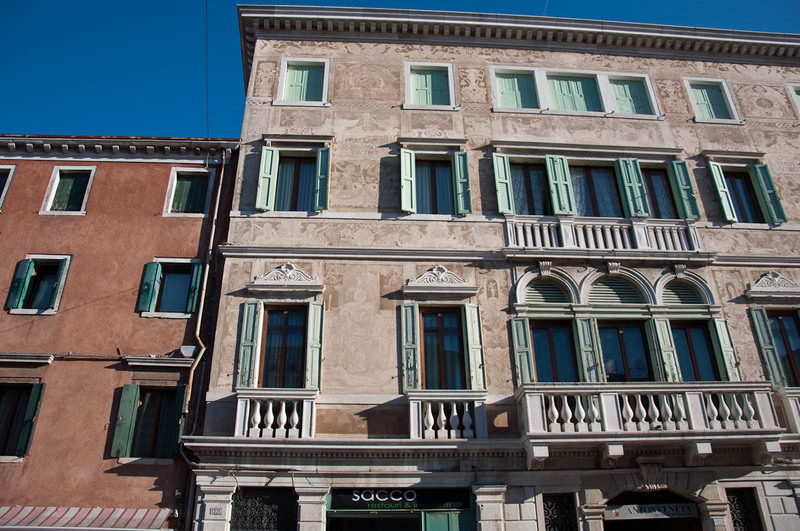 And then 74 small streets (or calli in the Venetian language) are positioned perpendicularly on both sides of the main street. Seen from above, it is just like a herringbone and it makes it easy to get your bearings in town. Three canals run through the historic centre: in the middle is the Vena canal which is crossed by nine bridges and it is where the small boats are moored. The other two are called San Domenico and Lombardo and this is where the deep sea fishing boats can be seen. 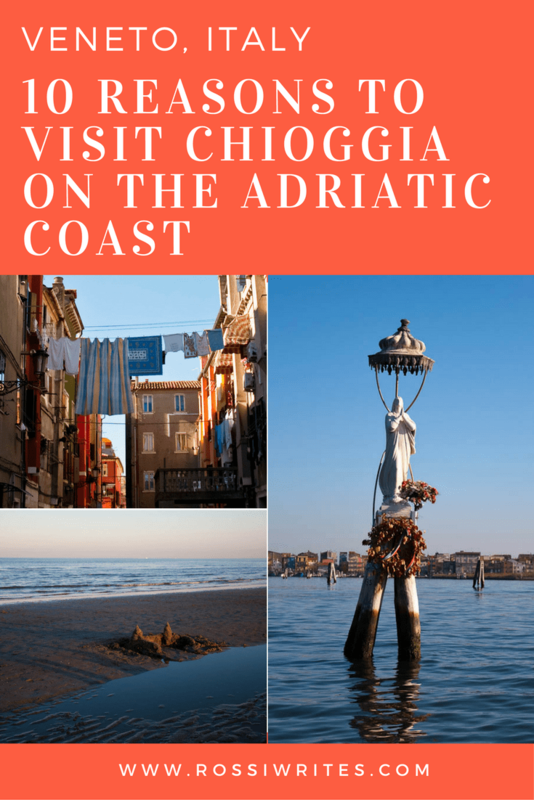 Have you been to Chioggia yet? If not, make sure that you add it to your travel wish list. It is a great place to see and experience. It is a place caught between the land and the sea, with a rich history and a relaxing atmosphere. 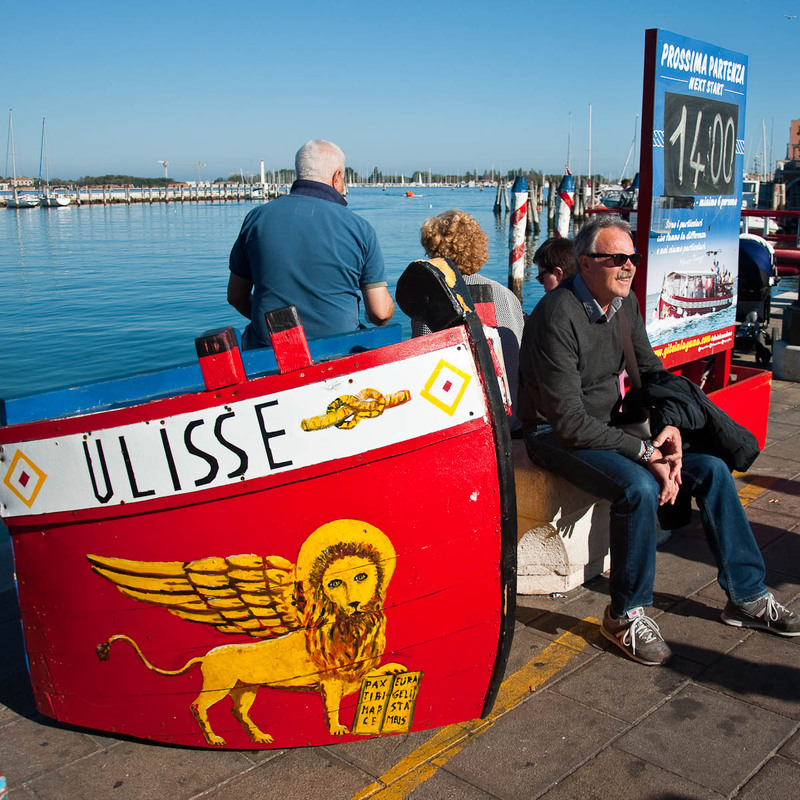 Personally, I loved visiting Chioggia and I am looking forward to returning again there soon. 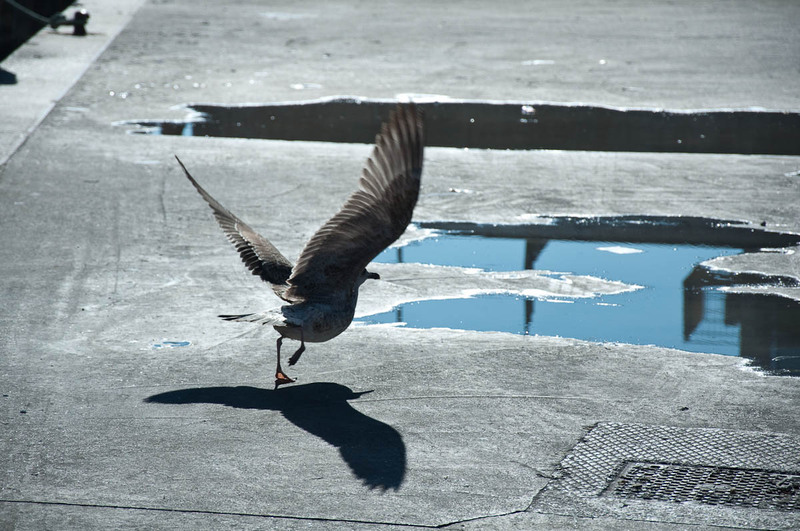 Loved your article on Chioggia. Have been twice. Spent ages in the fish market writing down all the names of the fish I had never seen before. The vendors wondered what I was up to.